Take a tour through Portugal without full stops or paragraphs, like Saramago’s writings; visit the cities and mountains described by Eça de Queiroz, seeing why the idyllic scenery of the Douro Valley inspired so many Portuguese writers. 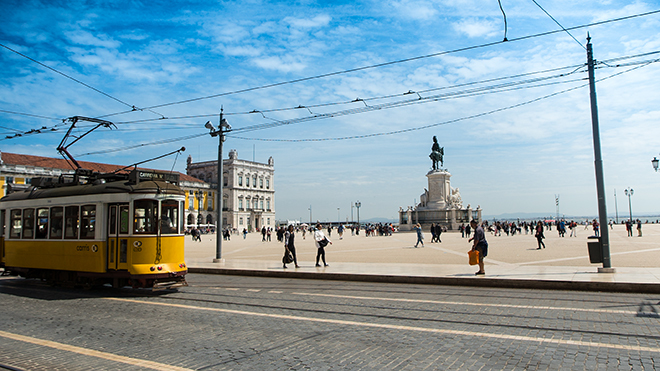 In Lisbon, follow the favourite routes of Fernando Pessoa or José Saramago to learn about the city. Get inspired and make up your own itinerary or choose one of the available programmes you can find by searching “Tours and Other Tourist Services”. It was in the region of Porto and the North that some of the most important Portuguese writers of the 19th and 20th centuries were born or lived. This fact was the basis for the "Escritores a Norte" (“Writers in the North”) project, which offers a motive for travelling through the region and learning something of the Portuguese culture, while taking in the amazing landscapes of the north coast, Douro Valley and the interior areas of Portugal. This route, which passes through the Center of Portugal, is the one José Saramago idealised for the main character of his book “The Elephant’s Journey”. It’s an invitation to discover or rediscover, as the writer did, a cultural itinerary the winner of the Nobel Prize for Literature travelled exactly one year before he died. In Lisbon, each street in the downtown area, the “Baixa”, has a story to tell. In this city that’s always changing, you can still find many places where Portuguese writers lived. To get the most out of the city, choose one of the available programmes offering theme-based tours. Visit Lisbon and be inspired by the characters of José Saramago, who lived most of his life here, loving the city and making it the central point of his works. The tour begins at the writer’s house in Lisbon, near Jardim da Estrela, passing through the emblematic areas of the Chiado and the Baixa, ending in front of Casa dos Bicos, where the writer’s ashes rest in the shade of an olive tree from where he was born. A trip through 20th-century Lisbon, recalling the age in which Fernando Pessoa lived. Evidences of his life in the city still remain today: his childhood spent at Largo de São Carlos; the Basílica dos Mártires, which he considered as his village church; the cafe A Brasileira, in the Chiado; the Campo de Ourique neighbourhood, where he last lived, and his house which has been turned into a museum. You can have a guided tour or follow the route Fernando Pessoa himself suggested for visiting the city in his work Lisbon, What the Tourist Should See. Take a tour of the settings for many of the works of Eça de Queiroz. The streets, the old buildings, the shops with a history, and the emblematic places of the cultural life of his times are the basis for a different sort of guided tour that will give you a different perspective of the city. These tours focus on the 16th-century city, the main points being Belém and the monuments representing the Age of the Discoveries. They are not based on literary motifs, but point back to the world of the classic poet, Luís Vaz de Camões, a key figure in Portuguese literature and point of reference for writers such as Fernando Pessoa and José Saramago. 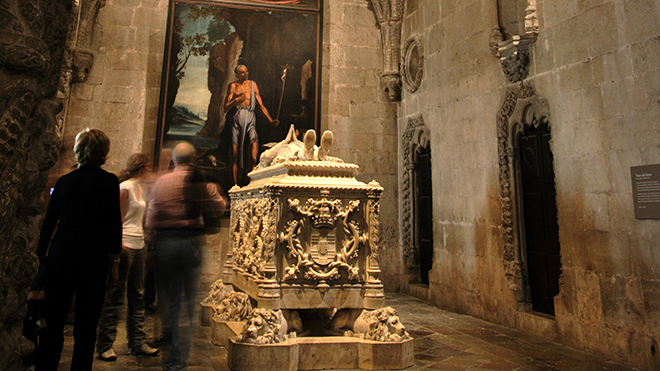 The tomb of this great writer is found in the Church of the Jerónimos Monastery. In the Atlantic islands of the Azores and their volcanic landscapes, it is easy to be impressed by nature. But your outings here can take on new meaning when they are guided by people who lived there and in their testament called attention to the details that fire a passion for the islands. On each island, let yourself be accompanied by a writer or Azorean figure and their memories and stories that will give added meaning to your travel.